Ever since human beings first invented the wheel, there has been no stopping our development of technology. Although it could be argued that making pointy sticks was the most immediately beneficial because it kept us from being turned into takeaway sabretooth tiger burgers. Then when cars rolled in, tech constantly improved the driving experience. Believe it or not, there was even a time when cars didn’t have steering wheels (they used highly inaccurate levers). And the development of the seatbelt has probably single-handedly saved more lives than any other technology. When the car radio was first invented, it was almost banned in several states in the United States, because legislators believed it would cause distractions to drivers and lead to accidents. Of course, radios are the only way of surviving with sanity intact during bad rush hour traffic. So it is more the other way around. Here are five new technologies (or newly implemented) we’ve found that make our lives much easier. And safer. There’s an app for everything… including cars. Many motorcar manufacturers have developed smartphone apps that work with their higher-end models. 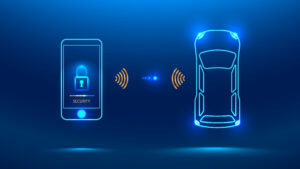 Simply download the app, connect it to your car, and you can lock and unlock your vehicle at the touch of a touch screen button. Not only that, but the car and app communicate, with your vehicle sharing vital information, such as fuel consumption per unit of time, engine health, and diagnostics for problems you might be experiencing. The latter being especially useful to motor mechanics, who’ll use the information provided to locate issues and fix them. Not all infotainment systems are created equal. In fact, some are overly complicated. It doesn’t have to be this way. 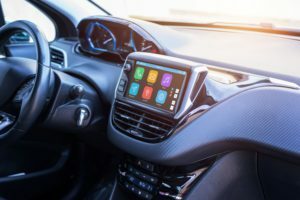 A lot of cars these days allow for interconnection with your smartphone, so that your infotainment user interface is represented via Apple or Android based ones. This allows for the familiarity of your favourite interface. 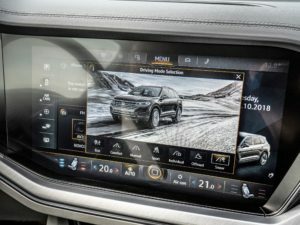 You’ll enjoy interacting with your car more and won’t have the needless options and menus that clutter up the experience of managing your infotainment needs, such as playing music, using traffic avoidance apps, and making phone calls. Perhaps the biggest benefit is that you’ll be able to use your smartphone’s voice assistant. This lessens the risk of accidents too, since your eyes never have to leave the road. As of 1 May 2018, all passenger vehicles sold in the US are required to have at least one camera system. This should filter down to us in 2019, though we’ll wait and see. However, camera tech has improved, and it is appearing in lower and lower priced cars. It makes parking that much easier as it provides you with the ability to view hard-to-see angles. Not only that, but some camera systems mean you don’t have to look around at all. Keeping your eyes to the monitor means less cricks in your neck. Better still, for parents, these cameras can be life-saving as children don’t just get underfoot. A child playing behind a car might ordinarily be hard to see. A rear camera means you don’t have to worry. 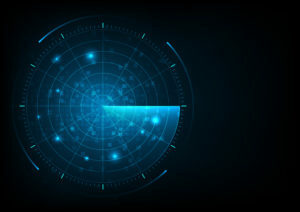 The radar is a device we associate with air control or the military – picture F-16s flying high in the sky dodging storks. But the technology is now implemented in cars. Cruise control has been around for a long time, but the drawback was always you’d have to intervene constantly, depending on the car in front of you slowing down or whatnot. But with Radar Cruise Control, your car can tell when the vehicle in front of you is slowing down or speeding up. And adjust speed accordingly. So you can actually enjoy cruise control for a change, without having to worry as much about other drivers. Coming across on the rear. One of life’s little constant stressful moments are when you’re reversing out of a parking in a crowded parking lot. It’s a human truth that other drivers or pedestrians just assume you have total awareness of everything going on around you and will stop completely if they cross your path as you reverse. Of course, a lot of the time, an accident is narrowly averted as you realise what’s happening at the last second. Perhaps causing a pedestrian to need to go back in-store for a fresh change of briefs. Well, the Rear Cross-Traffic Alert helps take care of that problem. 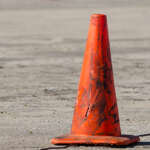 It alerts you to the presence of these walking, talking (or rolling) obstacles that appear out of nowhere. Some versions of the technology even apply automatic braking. Just in case.